George Gilbert Scott who is better known as the architect of St. Pancras Station and the Albert Memorial. The Church is of flint and has the appearance of simple Gothic design so that it is sometimes mistaken for being of a much greater age. Horseshoe Lane took its name from a blacksmith’s forge, which stood opposite the church. This has now been demolished and moved to the Chiltern Open Air Museum. All Saints was the first Church to be built in the area since the founding of St. Mary’s, Watford and the inspiration for the building was mainly from Mr. Arthur Currie of High Elms House and his neighbour, Mr. William Capel of Kytes House, who was well connected with wealthy friends and relatives in the district. Their motivation is unclear - perhaps it took too long and was inconvenient for their servants to go to St. Mary’s in the centre of Watford on a Sunday! A scheme to request subscriptions was begun, though the money did not always flow into the fund as speedily as had been hoped. The first Vicar, the Revd. Adolphus White, was very much involved in the completion of the Church even to the extent of paying for the glass in the East Window while his brother provided the funds for the stone pulpit. 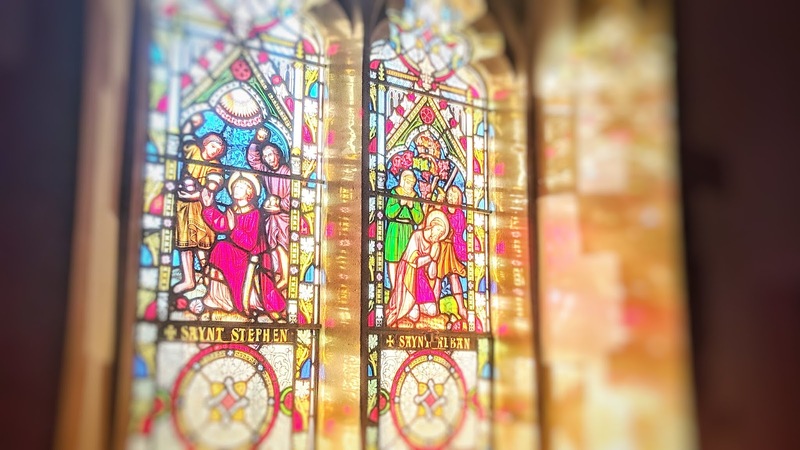 Most of the stained glass was put in when the Church was built and is reckoned to be the work of William Males of Newcastle. A fortnight before the Church was due to be consecrated, wood stored under the vestry was set alight, by whom it was never discovered. 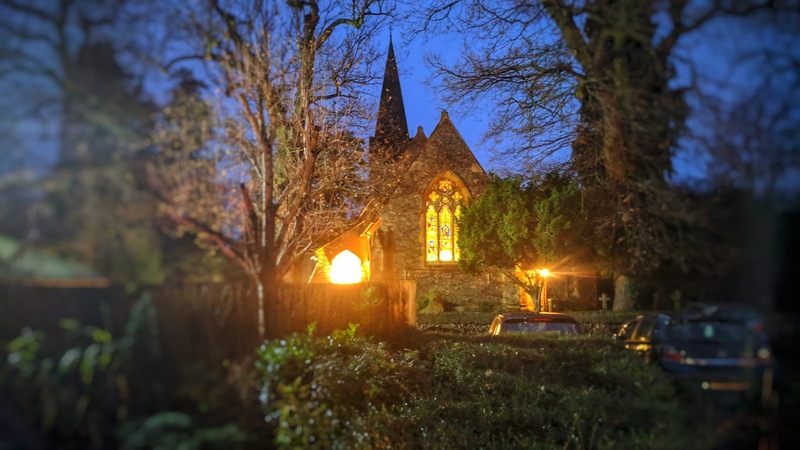 By chance that same night a party had been given for the workmen who had laboured to build the church and as they returned from the celebration they noticed the fire and extinguished it. 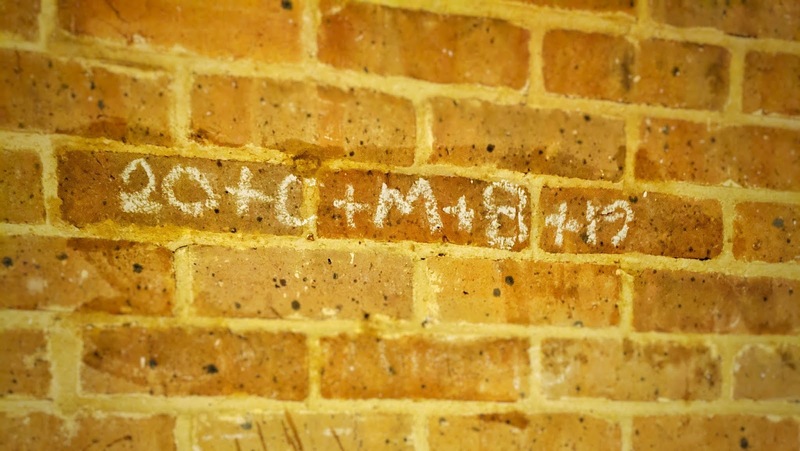 For some time there was a burn mark on part of the stone which recalled this potentially catastrophic event. The consecration was able to go ahead on the 1st July 1853 performed by George, Bishop of Rochester. The new Church had no organ and indeed no place to put one and so more structural changes were needed. In the 1890s a loft for the organ and new vestries were built and a Lewis organ purchased. 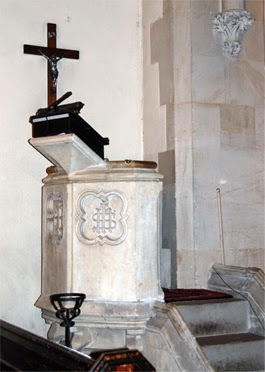 The instrument had been used for two months in St. Mary Magdalene’s Church, Munster Square, London while that Church’s instrument was itself under repair. The builder was anxious to sell it and let it go at the moderate price of £ 275.00! 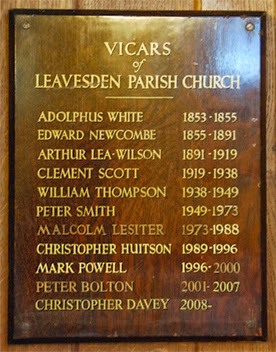 In December 1894 a Dedication Service for the organ took place. 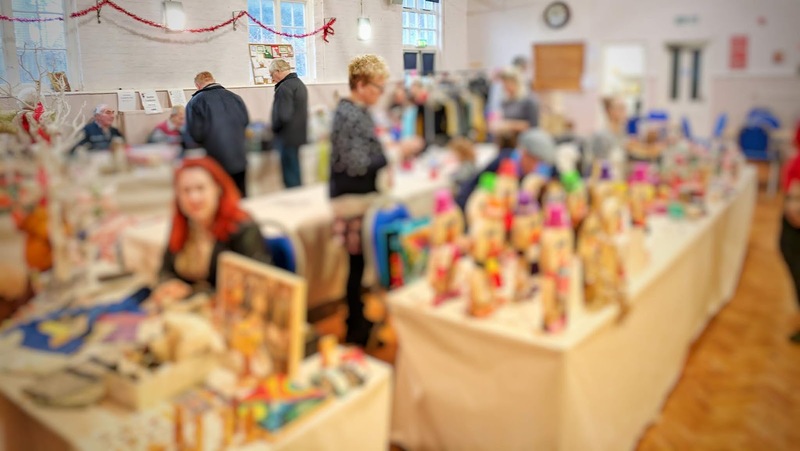 All this work left the Church in debt but an unusual means of fund raising is first mentioned at this time in the records – the sale of marmalade. A Miss Watson was involved in this and each year the project grew until a cottage in Woodside was taken to provide space for the work. By 1899 there was an output of 11,048 lbs of marmalade at a profit of £ 82 – 14s -3d and two cottages were in use with a staff of local labour. No further mention of the marmalade factory is made after 1901 but the profit certainly helped the Church clear its debt and buy various furnishings. 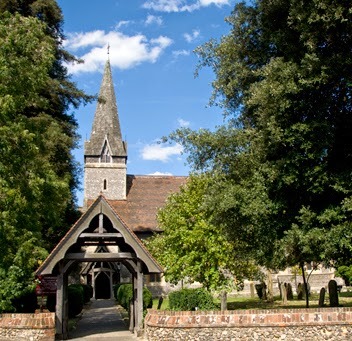 The 50th anniversary of the Church was marked by the building of the Lych Gate which makes an imposing entrance to the Churchyard. The next project concerned the building of a Church Hall. Plans were made in 1910 and the estimate of £800 accepted. After only a month three quarters of the money had been raised or promised but the last of the money was not raised until 1914. The Lady Chapel was furnished in the 1920s as a memorial to the men of the parish who gave their lives in the First World War. At this time, gilded reredoses, a rood beam from Oberammergau, plaster stations of the cross and a carillon of eight bells were added to the Church. 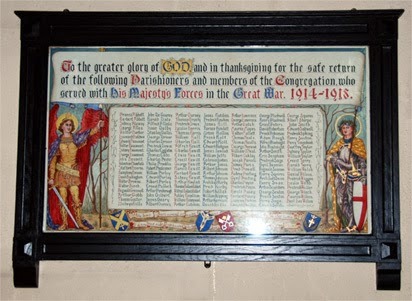 Inside All Saints’ can also be seen an unusual illuminated manuscript listing the names of those from the parish who fought in the First World War and came back alive. In the 1930s the bells were installed in memory of Angela Scott, the young daughter of the then Vicar. She was tragically killed in a car accident on her way back from London. The bells are in the form of a carillon and are played from a keyboard. Up until World War 1, the parish was an agricultural area with a number of small farms. Large housing estates were built in the 1930s and 1950s and the area transformed by the construction of the Orbital Road and North Western Avenue. More recently the Motorways have had their impact, although the opening of the M25 greatly reduced the traffic passing through the parish. The Church is now on the outskirts of the housing as a result of the way in which the area was developed. 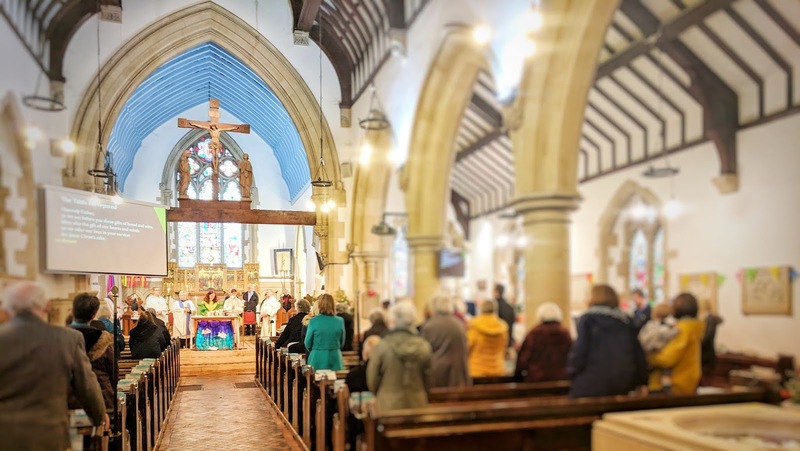 To enable people to go to a service near where they lived, Sunday services began to be held in Leavesden Green Community Centre on Clarke Way from 1984 and this has grew into a thriving Church of England Community Church within All Saints Parish. The redeveloped hall became fully operational and the new Parish Office was opened in 2001. The Leavesden Green Community Church was renamed St Hilda’s Church in 2002. In 2012 the Community Centre in Leavesden Green was closed, and later redeveloped. 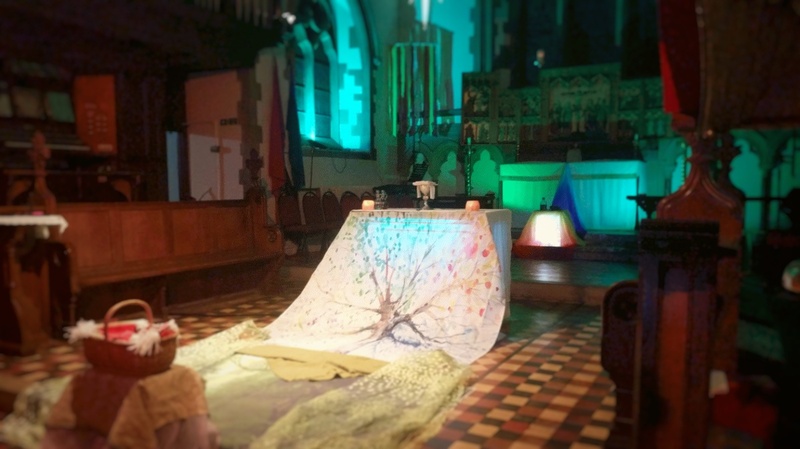 St Hilda's church returned to All Saints. However we continue gathering and worshipping in the new Hub as part of the Lighthouse project. In 2013-2014 All Saints was renovated with a new roof and was re-ordered with a complete AV system. Alban was a Roman soldier who sheltered a Christian Priest in his own home. When the soldiers came to take the priest away for execution Alban dressed himself in the priest’s clothes and was put to death instead. 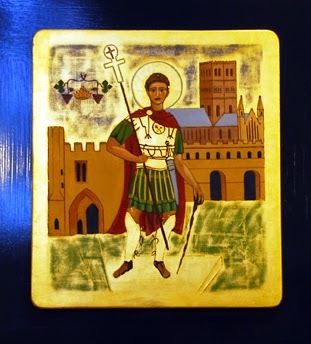 In the icon we see a Roman officer standing before the Abbey built in his name. The tower of the Abbey is lofty rising up towards heaven. Its roof reflects the deeper blue of divine love from above. In front of the Abbey is the Roman wall surrounding the old town and on the left hand side of St Alban is the Abbey gateway. The dark blue of the windows and gateways suggests the way through to everlasting life. Alban is dressed in a red life cloak depicting blood. His tunic is green representing new birth and he is protected by a chest plate of gold – everlasting life. In his left hand he holds his brown staff, a sign of his authority, and the colour of the earth from which all things grow. His sword is sheathed for he comes in peace. In his right hand he carries the cross. The red rose of the Martyrs is displayed on his chest plate St.Alban stands on a gold plinth that is triangular in shape. In iconography the triangle is used to represent the Trinity. The triangle is not complete, however, and the intention is to include the observer in the picture. So we stand face to face with Alban as though in conversation with him. From our position we can see golden strands of light crossing the ground and leading our eyes to the doorways in the gateway and the wall and into the world beyond – the Kingdom of our Lord. There is a crown in the left hand corner of the icon representing all the Saints and a vine surrounds it. ” I am the vine and my father is the vine dresser”, John, Chapter 15 verse 1. The crown and the vine continue the theme that is present within the Parish Church at Leavesden. The icon was designed and printed using the techniques of the Eastern Orthodox Church by Dr Derek Bird.